They come in two different colours – a pastel pink and a neutral grey – and feature linen-look upholstery, quilt-style stitching and solid timber legs. They’re perfect for your nursery, child’s bedroom or play room … but we think they’d look brilliant anywhere to be honest. The chairs are a tiny $49 a pop and are part of Big W’s stylish shift into homewares at affordable prices. There are pretty cushions, cute wall art, bean bags, linen, lamps, curtains and lots more. 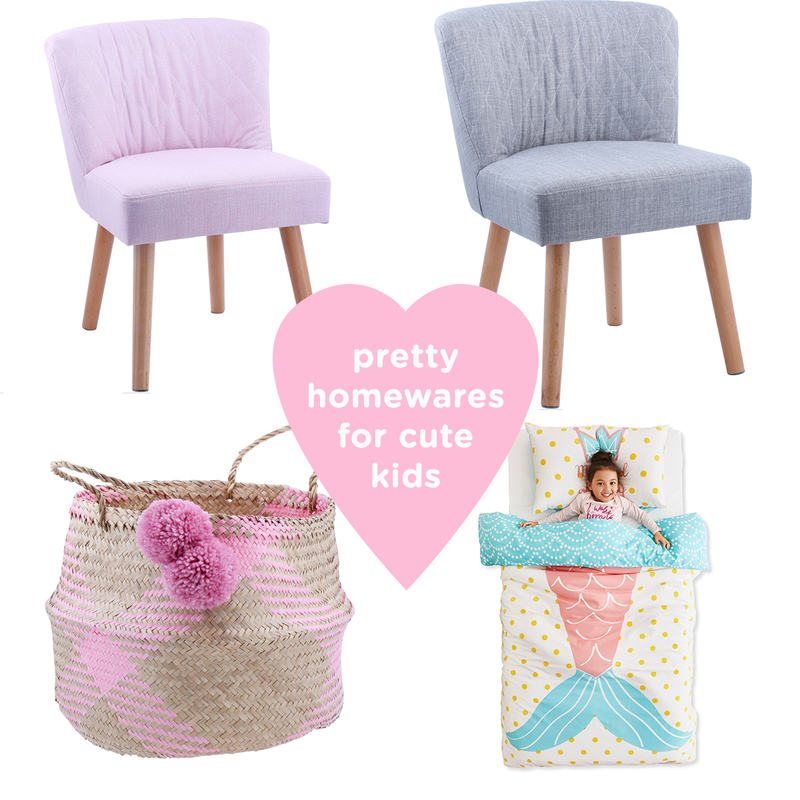 We spotted a few other cute pieces that we thought would look brilliant in your home but you should definitely have a look-see – and snap up these chairs if you fancy them because they’re sure to sell out quick-smart. Now all you have to do is pick and mix your favourite pieces! It’s also worth noting that Big W has Afterpay, if you’re keen to spread the cost over a couple of months.